Featherstone Rovers have made a major statement of intent with the signing of Brett Delaney on a two-year deal. Rovers secured the four-time Super League winner's signature despite fierce competition from a number of other clubs. 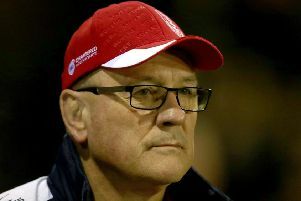 Delaney won two Challenge Cups and a World Club Challenge, along with four Super League titles, during his nine-year stay at Leeds Rhinos. “I’m very excited to start a new chapter with Featherstone, for the next two years," said Delaney. “I know I still have a lot to give, both on an off the pitch as a player. “Right now, I just can't wait to meet everyone at the club and start to knuckle down with preseason training. The 33-year-old spent the first five years of his professional career in the NRL with Parramatta Eels and Gold Coast Titans before moving to Leeds in 2010. He will join Papa New Guinea trio, Ase and Watson Boas and Thompson Teteh as one of one of Featherstone’s overseas players for 2019. He has previously made one appearance for Rovers, against Swinton Lions while on dual-registration in 2017. And head coach John Duffy says he "can't wait" to start working with the experienced forward. "Brett will add great experience to our team," said Duffy. "His record speaks for itself and tells you he's a player who knows how to win. "He's got a tough, no-nonsense approach and will immediately have the respect of everyone else in the dressing room. "I personally can't wait to start working with him."